A court in Adana province appointed trustees to the management of the faith-based Furkan foundation, the T24 news portal reported on Friday. The court ruling came a day after at least 21 people including Alparslan Kuytul, president of the foundation, were detained by a group of anti-terror police. Units from the police’s anti-terror and anti-smuggling and organized crime departments reportedly raided the headquarters of the foundation in Turkey’s Adana province and home addresses of the suspects early on Tuesday morning, forcing open its doors and storming the premises. The police also raided the foundation’s branches in the Central Anatolian province of Niğde and the eastern province of Elazığ. “I told my adviser to tell him that I would be a dishonest person to tell such a lie,” Kuytul said in the video. 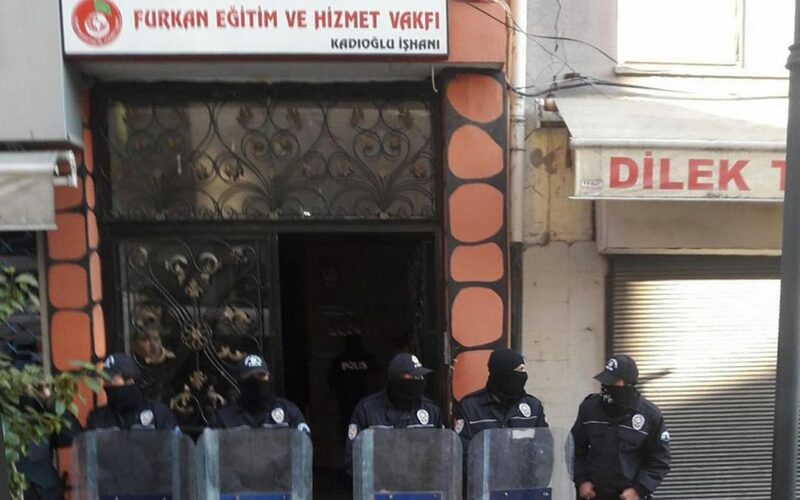 On April 22, police in Turkey’s Adana province attacked members of the Furkan Foundation after Kuytul announced opposition to a presidential system of governance proposed by the ruling party Justice and Development Party (AKP). When a group of around 200 people, including women and children, gathered at Atatürk Park in downtown Adana and representatives of the foundation wanted to read out a press release to mark the Holy Birth Week of the Prophet Muhammad, police attacked them with water cannons and tear gas after warning them that their gathering was not permitted. When members of the group insisted on continuing with the event, 50 people were detained and four others were taken to a hospital after suffering injuries during the police intervention. Turkish authorities blames the Gülen group for the failed coup of 2016.